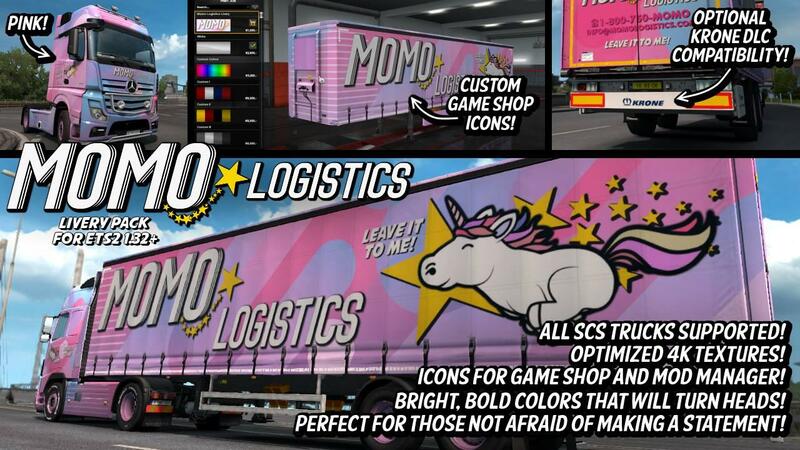 This is a combo skin pack of Momo Logistics for all SCS trucks and owned trailers. 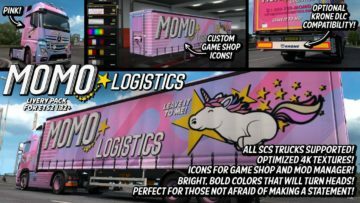 This skin is the winner of a skin making contest held in September – October 2018. I am not the maker of the skin but the skin maker has granted me the permission to publish. The skin maker name is “Private Person”.